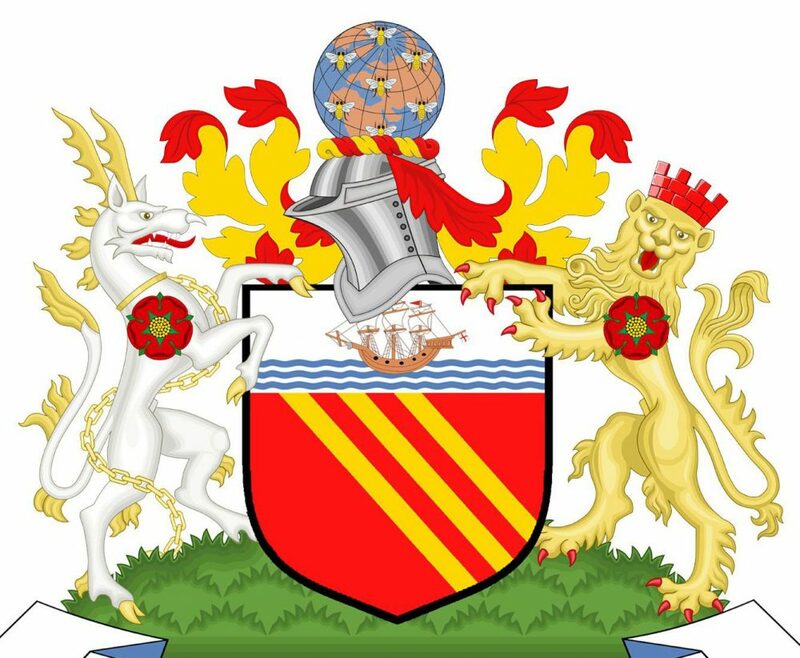 It is almost five years ago now that The Heraldry Society published the only full verbatim report of the case of The Lord Mayor, Aldermen and Citizens of the City of Manchester v. The Manchester Palace of Varieties Limited, heard in the Court of Chivalry on 21st December 1954. This included not only the judgment of Lord Goddard, sitting as Lieutenant and Surrogate to the Earl Marshal, but also the arguments and submissions of counsel, and the whole constitutes a valuable repository where much may be garnered concerning the law of arms in England. However, there still seems to be some confusion in the public mind, deriving possibly from the intricacies of the case, touching what is and what is not permissible by way of display of armorial bearings. This is notably the case with local authorities, which are perhaps more concerned with the public display of arms than ordinary persons. It should be recognised that there is more than one passage in the case which is not as clear as it might be, and together these may be regarded as contributing something towards the prevalent uncertainties. 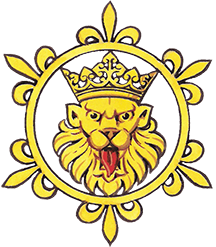 The following remarks and reflections, under two heads, are offered in an attempt to clarify such confusion as there may be and to help heraldists, or anyone else faced with the like problem, to decide by the application of a simple test, whether or not any actual or contemplated display of arms offends the law of arms. In order properly to appreciate the contention here made (and note particularly the words “in itself”) it is submitted that it is necessary to understand that there is a difference between mere display of armorial bearings, and a bearing and using of armorial bearings. Display of one sort or another is of course involved in almost every bearing and using of arms; but it is clear from the early cases in the Court of Chivalry that “bearing and using” is a term of art, denoting more than display, in that it means a display of arms such as it is appropriate only for a person entitled to arms to make. Thus in Grey v. Hastings, 1400-10, the Plaintiff alleged that the Defendant had wrongfully “borne and used” arms,3 and not merely that the Defendant had displayed arms contrary to the laws of arms. Similarly in Lovell v. Morley, 1385/91, the allegation is of arms being borne and used and not merely displayed. Now while it cannot be contended that either Oldys, or his successor as Advocate in the Court of Chivalry, Nathaniel Lloyd, LL.D., was particularly consistent in maintaining the language of the articles used in the cases of Oldys v. Tyllie and Oldys v. Booth, or that either sought to draw any precise distinction between wrongfully bearing and using arms and wrongfully displaying them, it is submitted that the interpretation now advanced, in an endeavour to induce an appreciation of such a distinction, at least has the merit of providing a convenient touchstone whereby various modes of display of arms, some of which do, and some of which do not, offend against the law of arms, can be readily distinguished. Applying this test to the instances cited by the Surrogate in that part of his judgment quoted above, it is manifest that these are all instances of display of arms, and are not instances of “bearing and using” arms. In each case the prime purpose of the arms is to decorate or commemorate. Although almost every bearing and using of arms, in the legal sense as defined above, is in itself decorative or commemorative, yet a display of arms whether decorative or commemorative, by a person not entitled to arms, does not offend the laws of arms unless the circumstances are such that the display amounts to an assertion that the arms are those of the person displaying them. Thus if a non-armigerous person displays arms on a souvenir ashtray or outside a public house of which he is licencee be is not “bearing and using” arms, for he does not display the arms as his own. If however, on being asked — “Whose are those arms?” pretends they are his own, his display of them becomes something more, a wrongful bearing and using, for he is asserting the arms are his when the truth is that he has none. To the circumstances of mere decorative display, he has added the assertion of his entitlement to the arms, and these circumstances combine at once to bring him into conflict with the laws of arms. Again, if a non-armigerous person invents arms for himself or takes those of an armigerous family with a like surname, and has a book plate of the arms made for his own use, once the book plate is in his book this, of itself, is an assertion that the arms are those of the book owner and that the owner of the book has arms of his own. In such a case it would be no answer to say that the arms displayed were merely decorating the book and therefore not contrary to the laws of arms. Similarly, there could be no greater assertion by anyone that he was entitled to arms than by putting arms on his seal, or on his father’s tomb. Both these instances, without any added circumstances, amount to an assertion that the arms thus decoratively and commemoratively displayed are those of the persons displaying them or for whom they are displayed. They are instances of display “plus”, that is, they are displays which only an armigerous person may make; they are instances of “bearing and using” arms and as such are a wrongful bearing and using if done by a non-armigerous person. But if the same non-armigerous person puts up in his hall or study the arms of his school, college, or, say, livery company, unless and until he says or pretends or by the manner of the display infers that any one of these shields is his own, he is merely displaying arms and not wrongfully bearing and using them. Thus, pace Lord Goddard, when deciding when to draw the line in cases where arms are used by a person not entitled to them, it is not so much a question of common sense, but of deciding as a question of mixed fact and law in each case, whether the circumstances are those of mere display or tantamount to a “bearing and using”. This is a question which an officer of arms, preferably a King of Arms, is eminently qualified to decide and it is much to be desired that all questions of doubt should in the first place be referred to an officer, with ultimate resort if necessary to the Court of Chivalry itself. Also Verbatim Report of the Case, pub. Heraldry Society, 1955, pp. 60-61. Printed Account, by Young, 1841, p. 9; cited by counsel in a r g u e n d o , Verbatim Report, pub. Heraldry Society, 1955, pp. 40-41. The Office of the Judge v. Underwood, 1634, Reports of Heraldic Cases in the Court of Chivalry , 1623-1732, prepared by G. D . Squibb, Q.C, F.S.A., Harleian Society, Vol. cvii, 1955 (pub. 1956), p. 6.